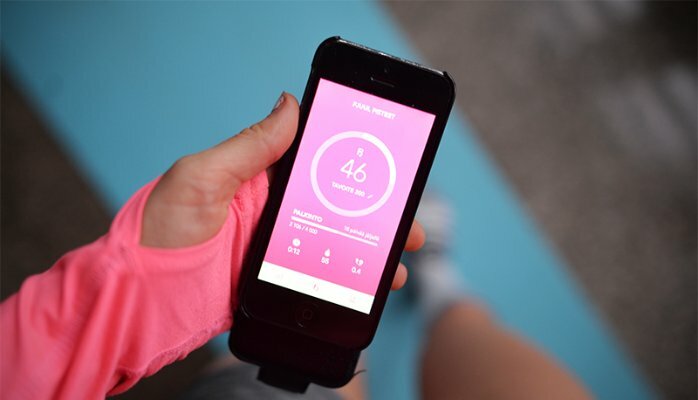 So, what will be the most interesting health tech trends for 2016? We’ve prepared four main trends and got comments from the innovative app Fjuul on how their service works on setting these trends. Some call it a health revolution, others think of it as a bypassing trend. However you see the current obsessions with fitness, health and wellness, one thing is for sure – it’s not going away. In 2015 we saw a huge amount of different wearables, lots of mindfulness apps and enormous growth of sharing economy. In 2016, we’ll see the end user rise more to the center of all this, and importance of user experience will only grow. People will start to demand more from the systems that they are now getting used to use. Also earning rewards for healthy activities will be part of this. Lots of people already use some form of technology to track their health and fitness. As the use of apps and wearables grow, so does the amount of data measured from the users. In 2016 we will see apps that will derive more meaningful insights from this data, and hence the data will also become more meaningful for both the customer and the health care provider. Fjuuls’s take on it: ”Existing myth of 10 000 steps is starting to break. At Fjuul we have been measuring users movement intensity from the beginning. We use physiological data and medical knowledge to deliver easily understandable results to the user.” says Sascha Wischek, CEO of Fjuul Vision Oy. ” This is a real game-changer here. This kind of approach transitions the user away from few irrelevant datapoints like steps, and enables real results also for preventative care. Get ready for mental wellbeing! Fourth industrial revolution is changing the lives of all of us, and while making some things easier, creating also more stress and urgency for many. Relieving stress and gaining mental health via exercise will boom in 2016. There are big things about to happen in terms of big data and it’s analysis – people will start to follow their mood more, and learn what kind of exercise works them the best. Fjuul’s approach: At Fjuul we change people’s behavior from casual movers to more exercise like casual movers. By raising the intensity of your movement through the day, the whole day becomes an exercise. Following your progress through time, you’ll start to notice also the mental affect this has to you. There’s been solutions to measure us for ages. We track ourselves when we go running, cycling, to the gym, sailing, hiking, you name it. Still a big amount of these measurements don’t really provide us too much insights, it’s just numbers you see. This is about to change, as people are getting used in using different systems to measure them – they will start to demand more. Fjuul’s comment: On top of measuring your activity, Fjuul gives you an easy insight to your healthy activity. By using it’s own algorithm, your movement is categorized to casual and exercise, and you only earn Fjuul points for exercise type of movement. If you don’t reach your daily 150 points, you know you haven’t been active enough through the day. According to WHO, obesity is one of the greatest public health challenges in the world. There is a great potential to fight obesity via digitalization, and one way of doing this is by rewarding for people for fighting against it. Fjuul’s approach: So far the existing rewarding programs have been only about doing sports, but with solution from Fjuul people will get rewarded by being active in their casual life. Fjuul is already in co-operation with one of the biggest insurance companies related to this, and this thing will only grow. For governments, brands and organizations this is a big game changer, so once you feel you’re ready to hop on the ride, please be in touch!